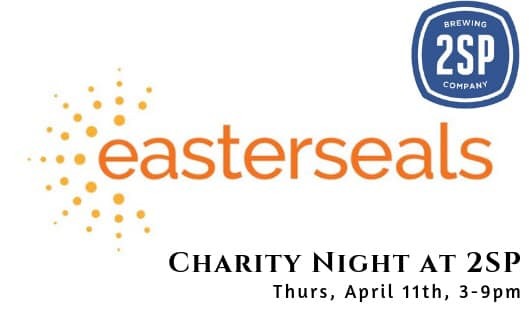 April’s Charity Night is Thurs, April 11th, we’re hosting: Easterseals. 20% of our sales on 4/11 will be donated to this organization. This not only includes all draft beers consumed in house, but our merchandise and take out beer (growlers, crowlers, cans, & bottles).